Hilton Worldwide has unveiled the Doubletree by Hilton Sighisoara - Cavaler hotel in Romania's historic Transylvania region. 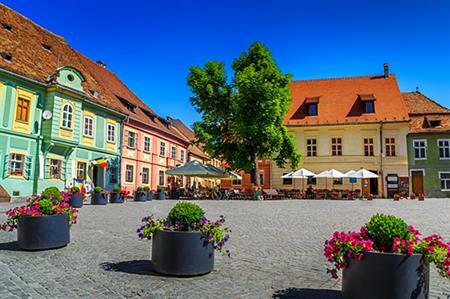 The 74-room hotel, which marks Hilton Worldwide’s sixth property in Romania, is situated in the 16th century medieval town of Sighisoara in the famous Transylvania region. Sighisoara itself is a World Heritage site thanks to its ancient citadel, landmark clock tower and the iconic Bran Castle, which was once the home of Vlad the Impaler and was the inspiration for Bram Stocker’s Dracula tales. The hotel includes two fine-dining restaurants overlooking the historic city centre, in addition to a multifunctional meeting space that can host groups of up to 300. Groups can enjoy a range of treatments at the hotel’s luxury spa where a sauna, swimming pool and relaxation area are also situated. Hilton also announced the opening of the Canopy by Hilton Reykjavik City Centre hotel this week (5 July) marking the brand's global debut.